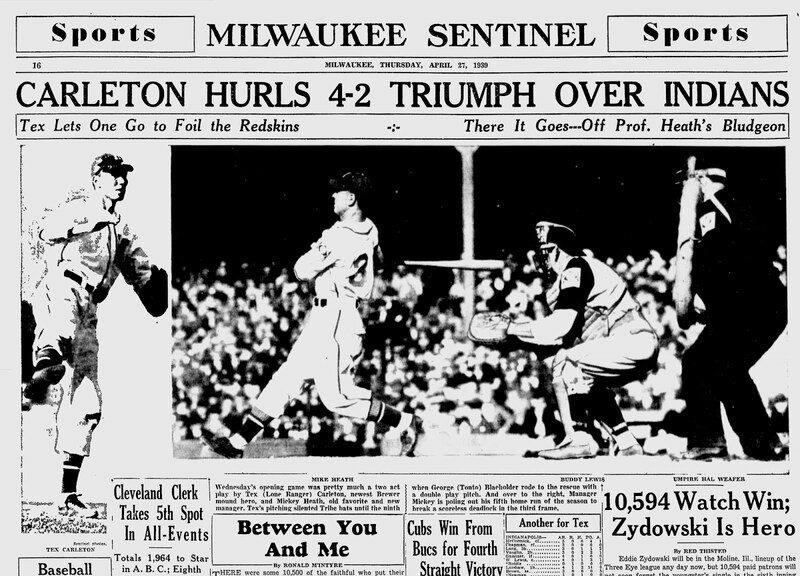 A quick post today, with a splendid action shot from the Milwaukee Sentinel showing first baseman/manager Minor "Mickey" Heath knocking one out of the Orchard. Manager Mickey is poling out his fifth home run of the season to break a scoreless deadlock in the third frame. 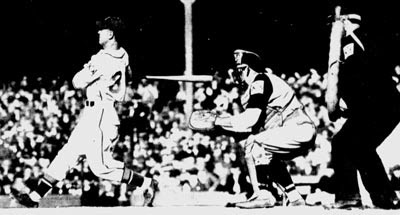 Behind the plate is Indianapolis Indians catcher Buddy Lewis, backed up by umpire Hal Weafer. I knew that players at all levels of the game wore the baseball centennial patches on their sleeves in '39, but this is the first time I've seen one on an umpire's jacket.